Cup chain connector was designed specifically to accommodate 4mm cup chain or rhinestone chain. Simply add a dab of glue to secure, place cup chain in connector, push down then bend 2 prongs over with pliers. 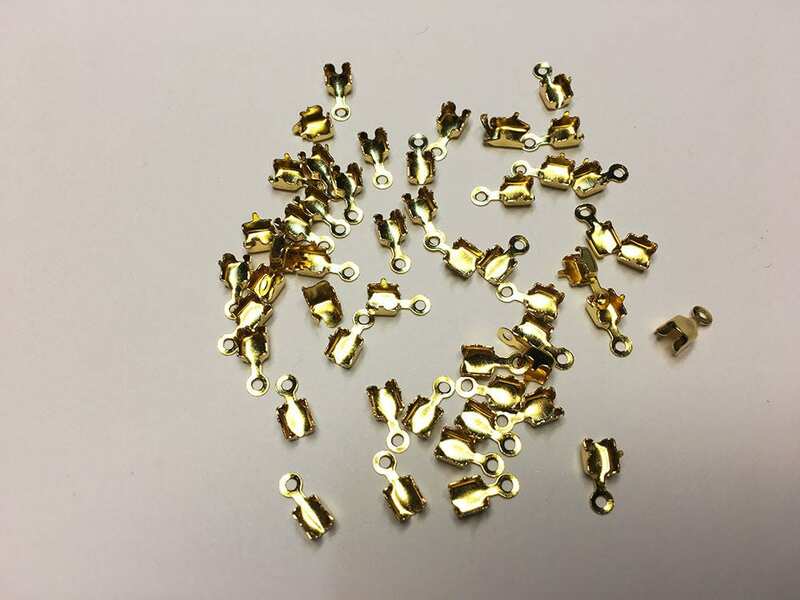 Connector can also fit other types of cube beads smaller than 4mm in size.